Heather Vaughan: Who was your favorite person to interview for this project? Natasha Rubin: “Deborah interviewed the vast majority of the living illustrators for the book; I contacted some of the new guard (e.g. Oksana Nedavniaya, Phillip Boutte, Jr, and Christian Cordella) for quotes. All of the interviews are pretty compelling. Julie Weiss is great to listen to because she has so many wonderful stories, I mean, she worked with Bette Davis! HV: Was there one sketch that you wish you could have included that you could not? 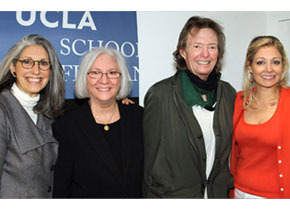 HV: How has yours and Deborah Landis’ affiliation with UCLA changed the scope of the research you’ve been doing? 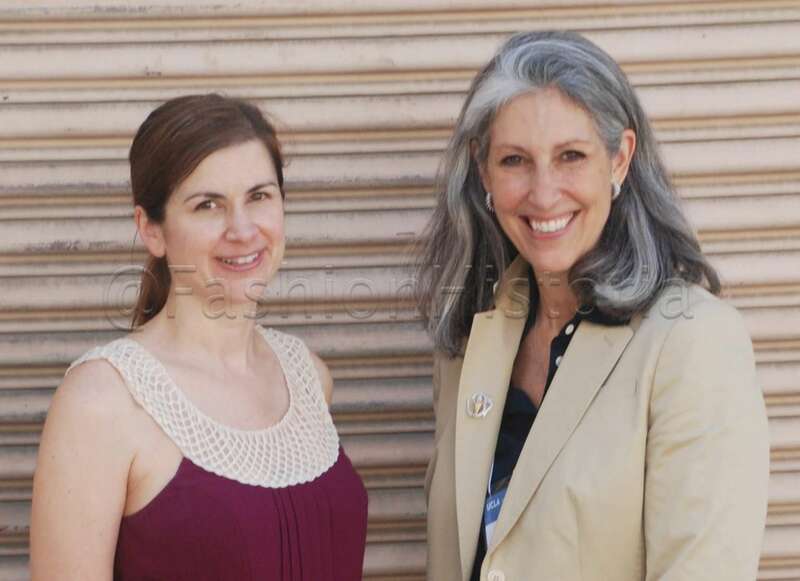 Professor Deborah Landis, Founding Director of the David C. Copley Center, Teri Schwartz, dean, UCLA School of Theater, Film and Television, donor David C. Copley, and Nadja Swarovski, head of communications for the company founded by her grandfather. 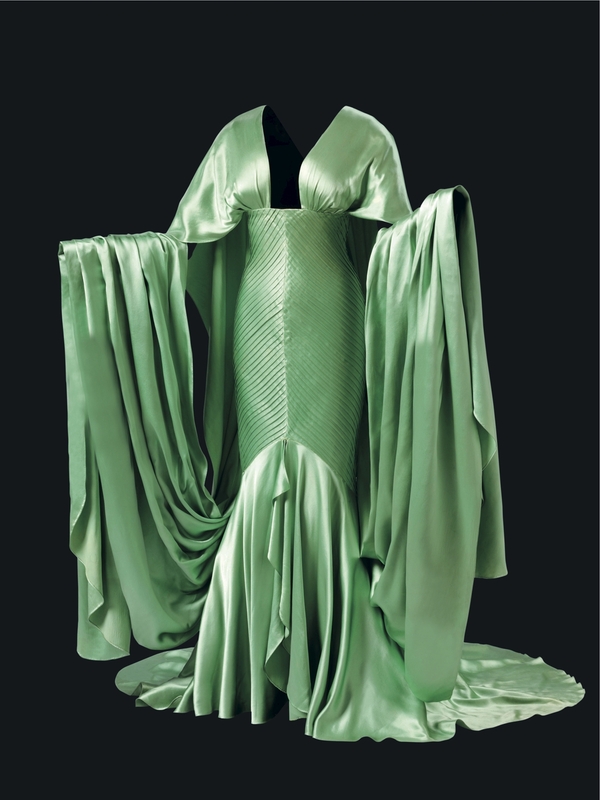 HV: What can you tell me about how the David C. Copley Center for the Study of Costume Design at UCLA, and what it will be able to provide for interdisciplinary historians researching this subject? What sorts of materials and resources does it provide? Many many thanks to Natasha for being so generous with her time, and for providing many of the images in these two posts. To learn more about the history of film costume illustration be sure to pick up a copy of Hollywood Sketchbook: A Century of Costume Illustration. Heather Vaughan: In your essay you note that you researched costume illustrations that had no signature or movie title: how often did that happen, and were any ‘mysteries’ solved in the book? Natasha Rubin: “Many mysteries were solved while researching the book. The author, Deborah Nadoolman Landis, and I began to recognize designers’/illustrators’ styles and this helped us match illustrators with designers as well as identify some of the movie titles. Deborah and I had always wondered if Jean Louis drew the sketches he signed for A Star is Born (1954). Due to issues with the production, this film had three credited designers (Jean Louis, Mary Ann Nyberg and Irene Sharaff). One day, while searching the Cinémathèque Française’s digital archive, I came across costume illustrations for additional films that Mary Ann Nyberg designed and the drawings were a perfect stylistic match. Another huge surprise was learning that John Truscott did not draw all his own sketches. Truscott only designed two films, Camelot (1967) and Paint Your Wagon (1969). The sketches from both of these films are immediately recognizable because of their distinct style, so I was quite surprised when I came across an interview on Galactica.TV’s website with costume illustrator Haleen Holt, which credits her as an illustrator for Truscott on Camelot. HV: The bibliography and resources sections of this book are extensive, though mostly primary resources. You also make note that this field has “little academic research, we are establishing the foundation of a field of study.” Who else would you say is at the forefront of historic film costume illustration research? NR: “First, I must acknowledge the extensive research of Susan Perez Prichard, who wrote Film Costume: An Annotated Bibliography (Scarecrow Press, 1981). 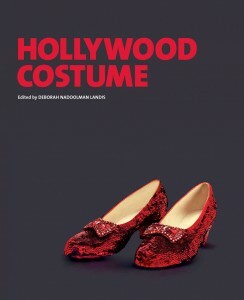 Ms. Prichard’s book provided the cornerstone of cinema costume history, and I would be remiss if I didn’t mention her. Sketch collectors and Golden Age fans have also been helpful. 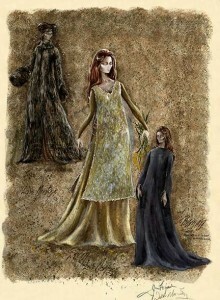 While there are extensive collections of costume illustrations at archives and museums such as the Academy of Motion Picture Arts and Sciences (AMPAS), the British Film Institute (BFI), the Cinémathèque Française, the Brooklyn Museum of Art, the Deutsche-Kinemathek and the Los Angeles County Museum of Art (LACMA), there has been very little scholarship on their holdings. At the Cinémathèque Française Deborah was told she was the only non-museum employee who had ever come to look at the collection. Additionally, these sketches are rarely, if ever, exhibited. Scholarship takes time and requires financial support, which has become more and more scarce. As the internet continues to compile information, more and more is available online. It would have been virtually impossible to publish this book even ten years ago, just tracking down the sketch collections would have been prohibitive, much less the text research. 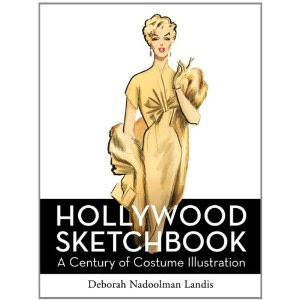 Though too late for our research on Hollywood Sketchbook, the Theater Library Association published Documenting: Costume Design (2010), edited by Nancy Friedland, which will provide guidance to future scholars in the field. Come back next week for a continuation of my interview with Natasha Rubin, and be sure to check out the preview of Hollywood Sketchbook from HarperCollins. 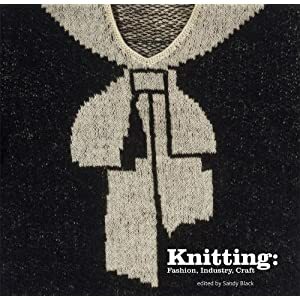 Just this last week I shared what might have been my favorite of all of them: Knitting: Fashion, Industry, Craft by Sandy Black. Today, I have the last book to share for the holiday season. 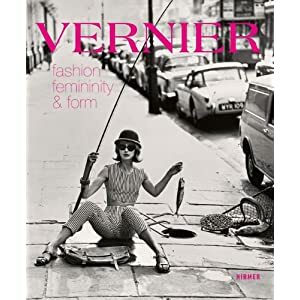 Available as of November 15, Vernier: Fashion, Femininity, and Form by Robert Muir and Becky Conekin (Hirmer Publishers) offers a highly illustrated documentation of Eugene ‘Gene’ Vernier, a photographer at British Vogue from 1954-1967. 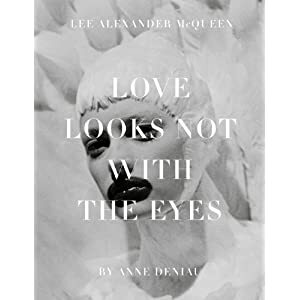 Beautiful, evocative photographs of 1950s British high fashion are included in this volume, with equally stunning essays by Robin Muir, Becky Conekin and Alistair Layzell. 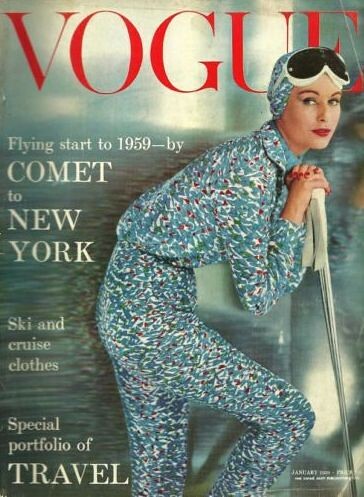 Admittedly, I had not heard of Vernier (blame it on my American bias), but his covers and interior photography for Vogue in the 1950s and 1960s are absolutely stunning, and deserve the attention that this publication brings. For a quick over-view (and sneak-peek at the images included in the book), BBC News has a great video interview with Vernier from May of last year. More images can be found in this Flickr set. Allstair Layzell’s essay, “Eugene Vernier: A life” uses the uniquely modern invention of the QR code to link still images to nine clips of film online, allowing readers to see some of Vernier’s early film work for Pathe (he was a camera man). (I’ve included one below) It’s a unique feature of Vernier: Fashion, Femininity, and Form, and one that I’ve not seen implemented in a book before. 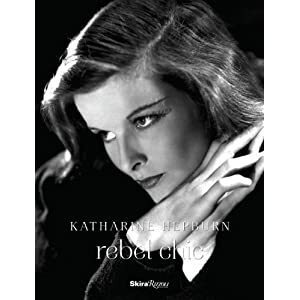 Jean L. Druesedow, director of the Kent State University Museum and former curator at the Costume Institute, has provided a marvelous essay in Katherine Hepburn: Rebel Chic, the new marvelously illustrated book out on the film-stars on and off-screen style. 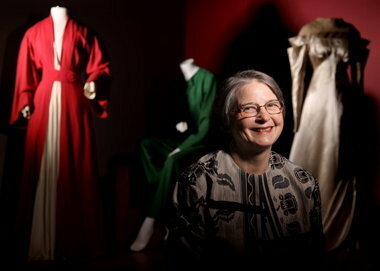 Jean L. Druesedow, curator of "Katharine Hepburn: Dressed for Stage and Screen." 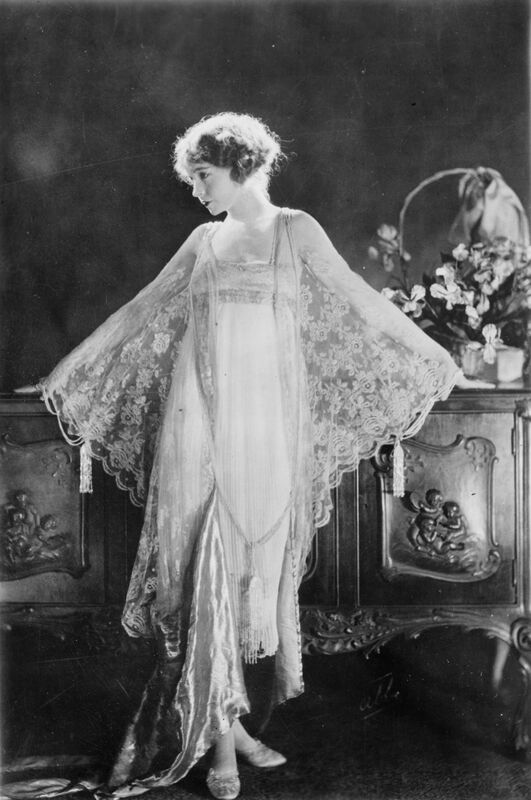 The book not includes wonderful research and background information for the film costume history enthusiast, but also includes film stills and photographs of extant garments, costume design sketches and notes, and other historical ephemera. 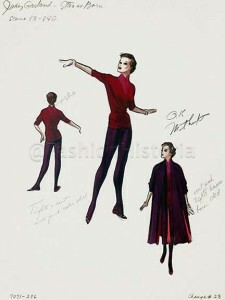 A complimentary exhibition, “Katherine Hepburn: Dressed for Stage and Screen” is now on view at New York Public Library (through January 2013). 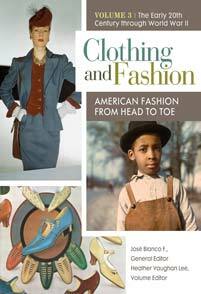 Edited by UC Davis professor Susan Kaiser (along with Efrat Tseëlon of the University of Leeds and and Ana Marta González of the University of Navarra); this publication – part book and part journal – seeks to further the Fashion Studies debate with both interdisciplinary and international slants. 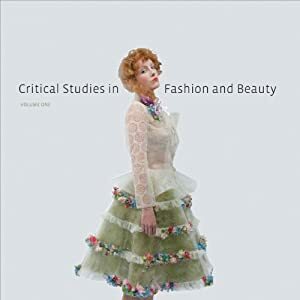 Critical Studies in Fashion and Beauty is a well-illustrated journal that includes exhibition reviews, articles and editorials by a dozen different authors on such topics as “Revisioning the Kimono” (Sheila Cliffe); “Russian Immigrant Women and the Negotiation of Social Class and Feminine Identity through Fashion” (Alexandra Korotchenko and Laura Hurd Clarke); and “Auction Prices of Fashion Collectibles: What do the mean? (Diana Crane). 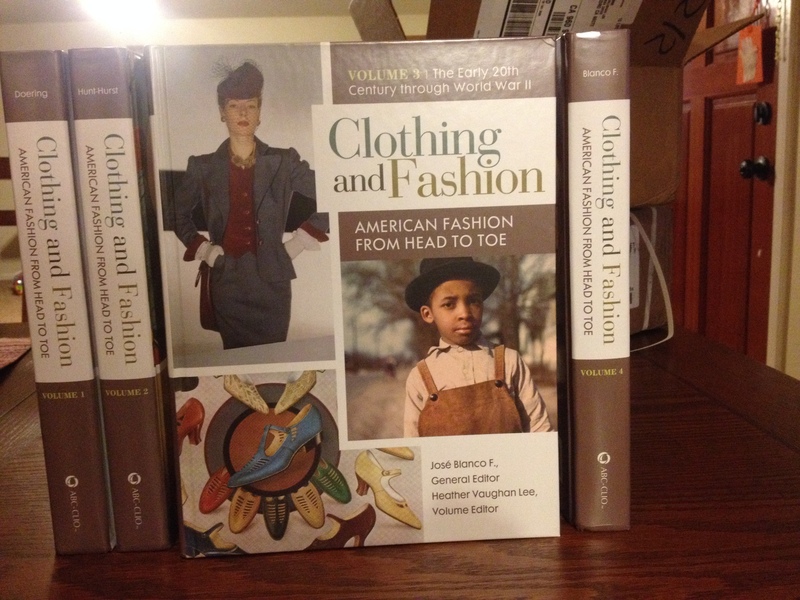 Aesthetic criteria for evaluating fashionable collectibles and fashionable clothing in general are underdeveloped, as indicated in a recent review of scholarly works on fashion (Gonzalez 2010). 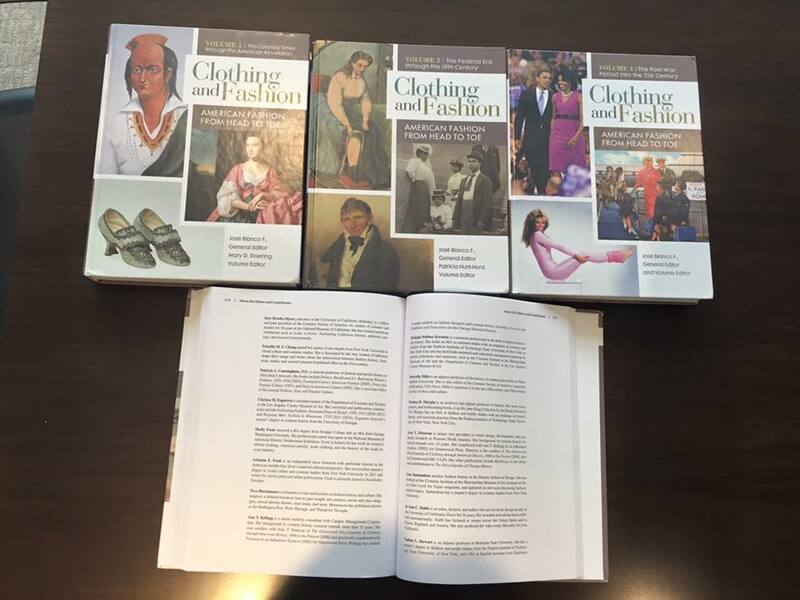 Most scholarly discussions of fashion theorize the characteristics and effects of fashion that is in fashion, rather than the aesthetic criteria of fashion collectibles. in fact, most such discussions ignore the possibility and implications of fashion collectibles. 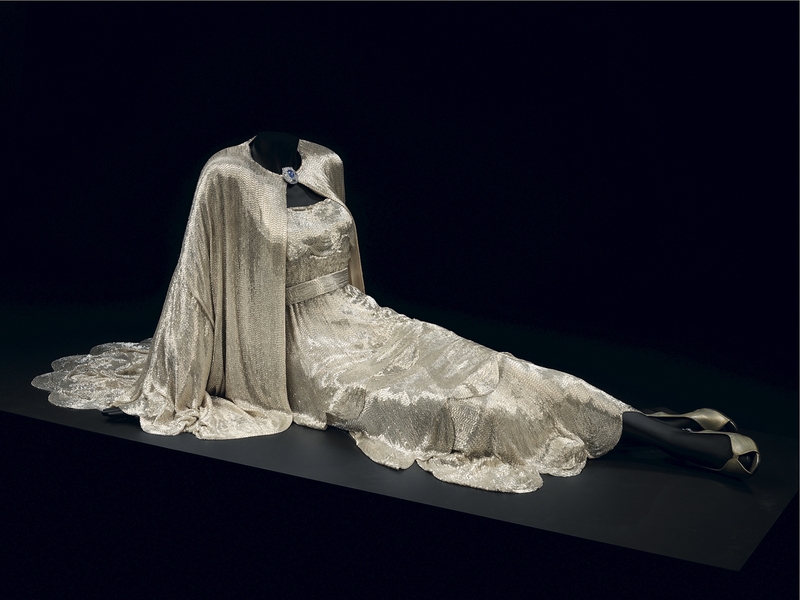 Analysing fashion collectibles is different from recounting fashion history. The latter tends to be a description of a succession of creators and styles.” (145-146). Her piece also discusses the role of ‘celebrity endorsement’ in the valuation of fashion collectibles; the roles museums play; as well as some brief background analysis. It will take me a while to get through the other articles here, but they are valuable and informative works. If you’ve read other articles here, I’d love to know your thoughts on them.